Thrusting skyward its straight marble columns and its vast expansions of sea-tinted solar glass banded at its submit by flame red letters spelling out by the legend of the times and a vigorous promise for the future. A bright new Frito-Lay tower grace's Dallas's 130 acre Exchange Park (a multi-million-dollar many building complex already known as “Upward Big D”). Housed in this impressive structure among a list of tenants that reads like an industry Who's Who, are the headquarters offices of Frito-Lay, the southern Division office of Pepsi Cola Company, as well as Dallas-based operations of PepsiCo, Inc.
On December 5, to Dallas and to this magnificent new building came Pepsi director Joan Crawford and public relations VP Mitchell Cox , to lead their warm presence, time and talents to the official opening ceremonies surrounding its dedication. 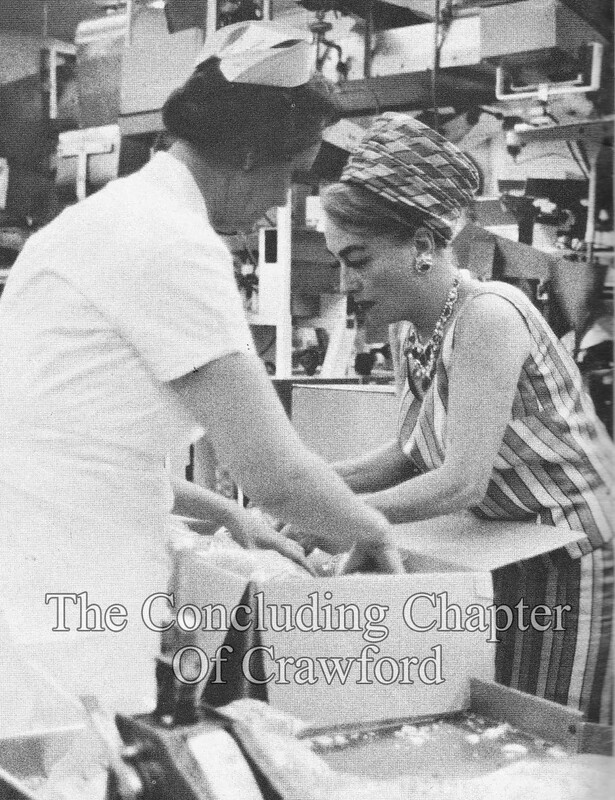 For three days, beginning with Miss Crawford's arrival at Dallas Love Field on Sunday, and her subsequent immediate tour of the tower on her way to downtown Dallas from the airport, the not easily the bedazzled citizens of that great city or made more conscious of the new association of Frito-Lay and Pepsi-Cola than they have ever been before (with the possible exception of the memorable moment earlier this year when the community learned that the two companies had agreed to pursue their corporate destinations together). 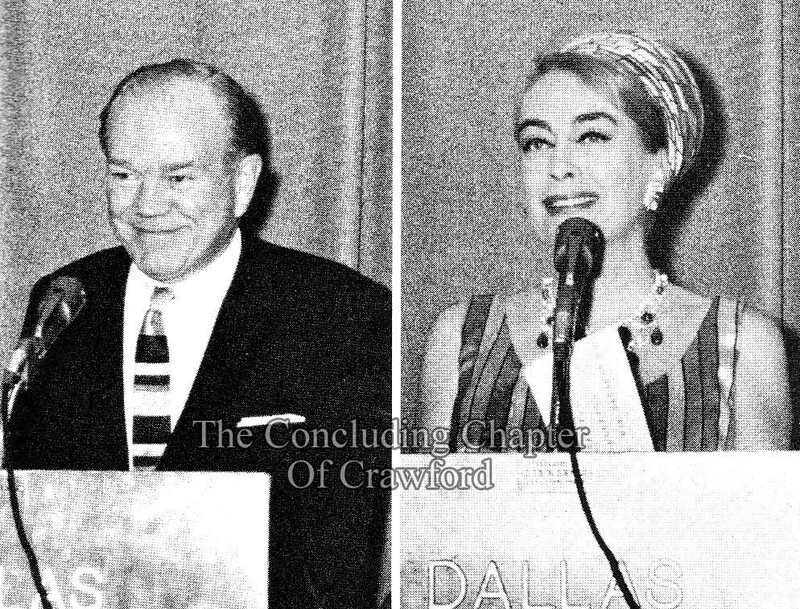 A press conference at the Sheraton Dallas Hotel , added by Frito-Lay President William Oliver , Miss Crawford, Diversa corporation (developer of Exchange Park), board chairman Gerald Mann , Mr. Cox , and Frito-Lay advertising VP John McCarty who, assisted by Pepsi PR man Bob Kelly, produced a 100% turnout of the Dallas areas print, radio and TV media Representatives. 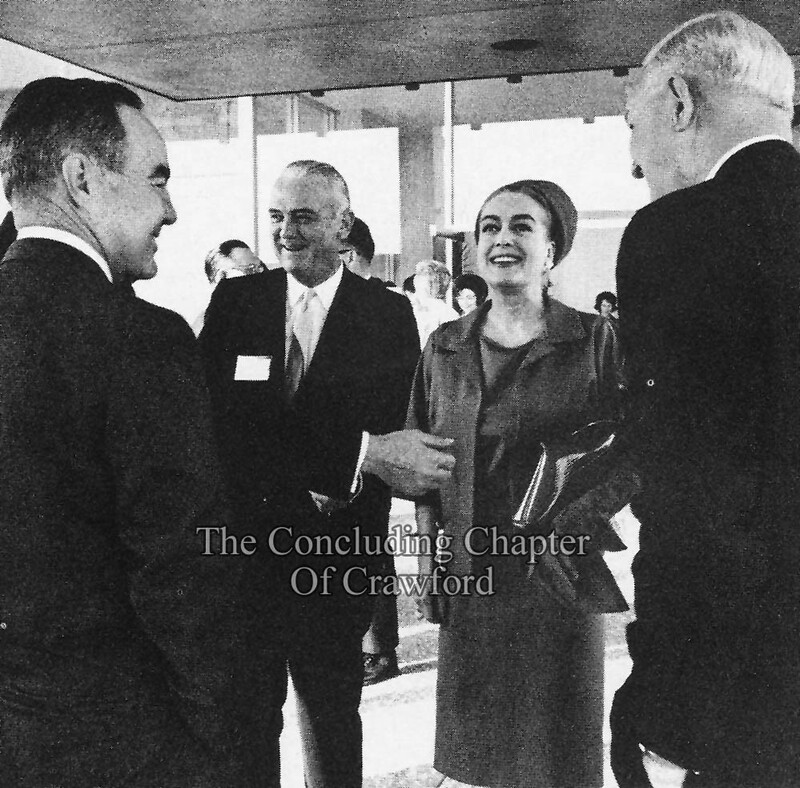 Immediate, electrifying results of the conference: front-page photographs of Miss Crawford serving Mr. Oliver Fritos corn chips behind a hedge. The segment, uncut, appeared on both major news shows of the day. 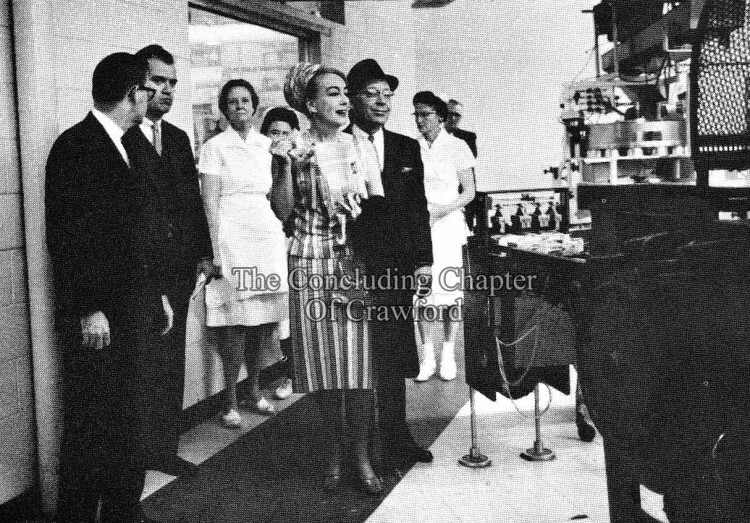 Said Mr. Oliver later, and in astonished gratification, if anyone but Joan Crawford had said that, it would have been cut off the tape. As it stands, it's one of the best pieces of publicity for us and Pepsi we could possibly have hoped to get. 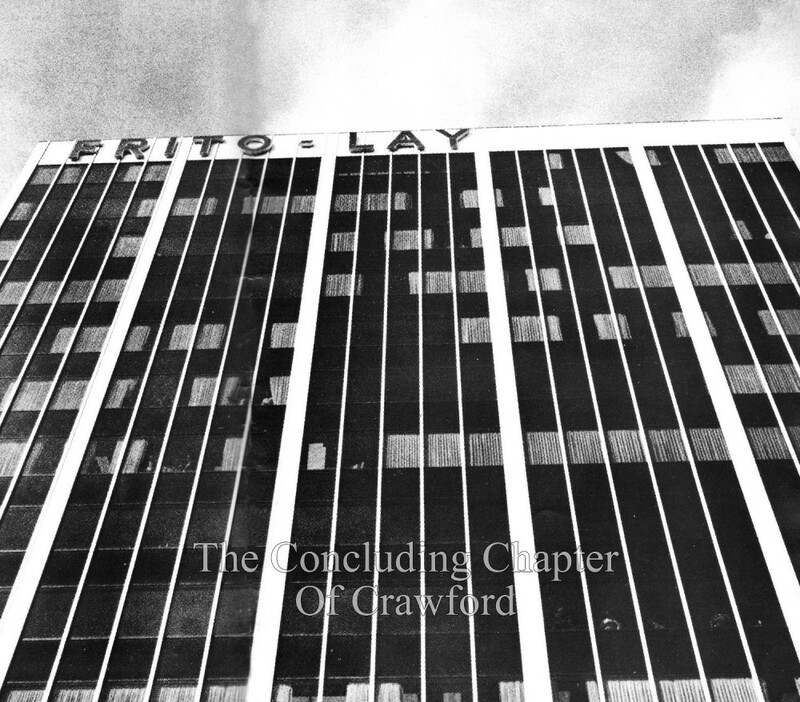 ​​A Monday evening reception for over 1,000 Frito-Lay headquarters employees and their families, during which (after they had toward the new offices and cafeteria in the Frito-Lay tower) they met and were photographed with Miss Crawford and a group of top PepsiCo Inc and Frito-Lay Executives, led by PepsiCo’s Chairman and Mrs. Herman Lay and Frito Lays president and Mrs. Oliver. An appearance the following day before the Dallas Advertising League by Miss Crawford, who, as guest of honor, was presented with the League’s special “Oscar” for her “outstanding performance as an internationally recognized leader among women in business,” and an address by guest speaker Mitchell Cox. 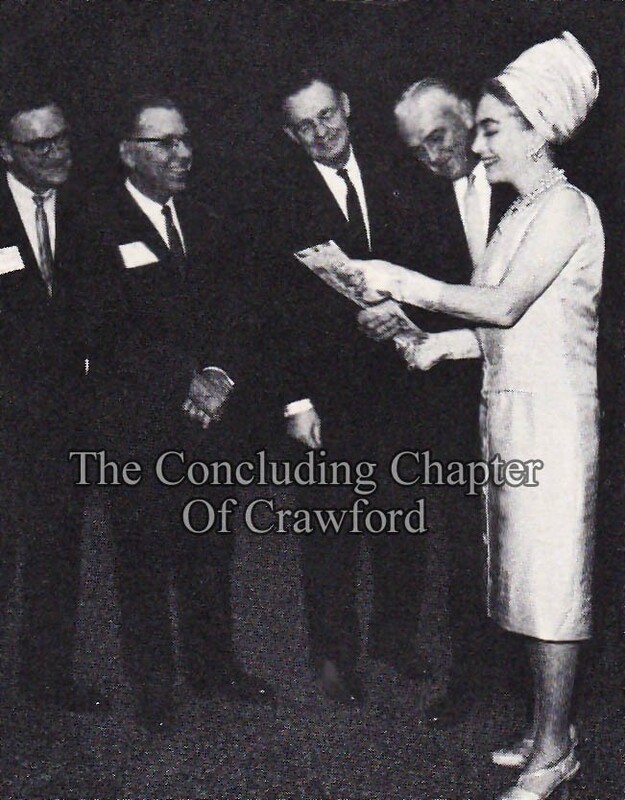 A private dinner in Miss Crawford’s honor at Mr. and Mrs. Lay’s home, attended by some 150 top-drawer members of Dallas society. The last thing Pepsi people saw as their plane bore them away that brilliant afternoon: the gleaming pillars of the tower – at once a salute and a promise of good things to come for both Frito-Lay and Pepsi-Cola.